For the chic and modern bride looking to fulfill her ethereal wedding dreams, look no further than trying on an Essense of Australia gown in either of our two Bridal Boutique locations in Calgary and Edmonton. Our experts are excited to welcome you to experience the romantic spirit of Essense of Australia. The eminent details of Essense of Australia offer everything from trains in vintage styles, to lace florals, to simple and sleek designs. Each dress is designed with elegant fabrics, intricate beading, and timeless silhouettes to fit every body type. The exquisite finishing and superb fit create an ageless piece for a bride to remember her special day in her unique dress for years to come. Essense of Australia is a worldwide bridal fashion house known for its fashion-forwardness and its mission to exceed a bride’s expectations for the last two decades. From silhouetted bodices to the fairy tale ball gown, the collection from Essense of Australia is meant to fit not only the physical allure of the bride but to complement her attitude as well. Inspired by otherworldly beauty and the spirit of Australia’s wilderness, Essense of Australia is a combination of classical bridal styles and bohemian detailing. With influences from European fashion houses, as well as the trending styles of New York, you can be sure that you’ll have an unforgettable look that is both Avant-garde and lovely. 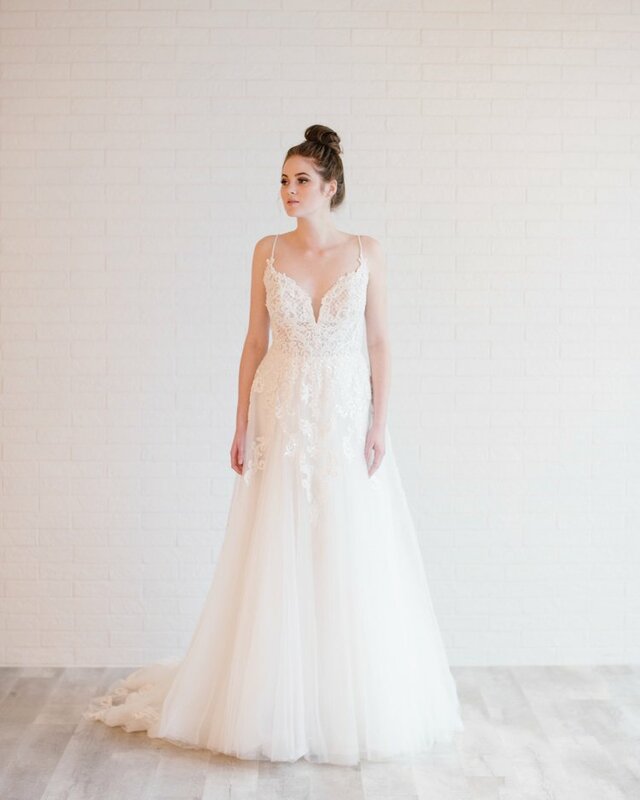 When our brides come to visit our Calgary and Edmonton Bridal Boutique locations, they come asking for the award-winning Essense of Australia brand. The designer’s meticulous attention to details and world-renowned couture elegance makes an Essense of Australia dress the envy of the town.